Combine currants, sultanas, oats, peanut butter and vanilla essence in a food processor. Blend until a smooth, thick paste is formed. Divide and roll into 25 balls and place on top of skewer. Dip balls in melted chocolate. 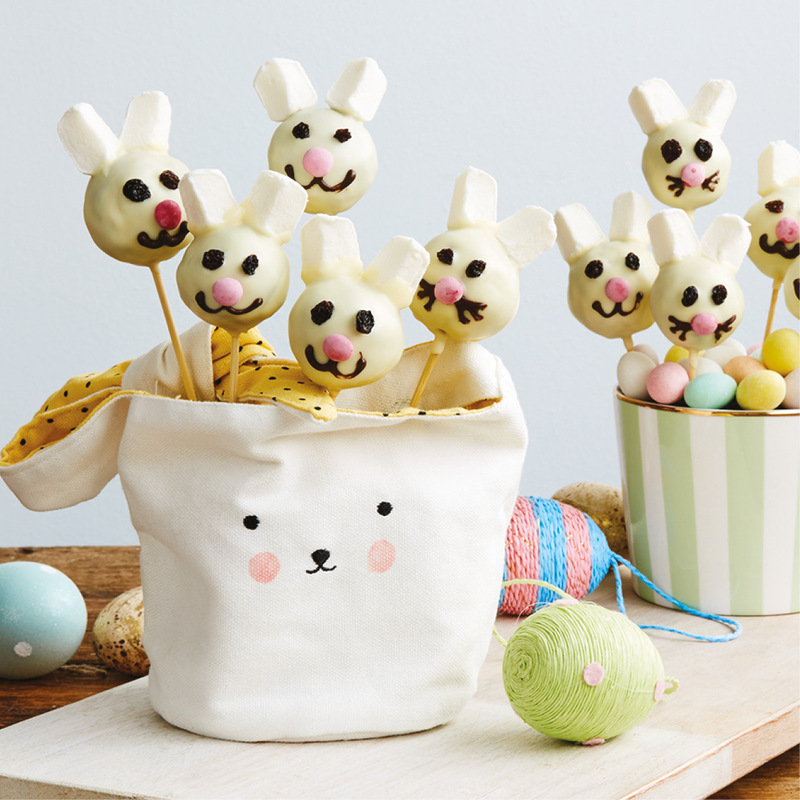 Before chocolate is set place two half marshmallows for ears, one pink candy for a nose and Sunbeam currants for eyes.